One of the key aspects of the plumbing in your home or business is the functionality of your sewer. Sewers remove the waste from your building and send it to the city sewer system for treatment. Any difficulty with your sewer can disrupt your life, cause damage to your building as well as pose major health concerns to your family, guests or patrons. Ace Plumbing & Rooter have been the San Francisco sewer repair and replacement specialists for over 10 years and are ready to help you whenever you are experiencing problems with your sewer. From Burlingame to Pacifica, and Daly City to Belmont – we have worked on sewer systems all around the Bay Area and know what to expect. If you believe your sewer may be damaged or in need of repair, contact Ace Plumbing and we’ll send a qualified sewer specialist to perform a video inspection of your sewer line. A video inspection will allow us to see inside your sewer and diagnose the issues preventing it from operating correctly. Common causes to sewer backups include foreign object clogs, root intrusion and sewer cracks or breaks. At Ace Plumbing & Rooter we have the tools to examine most sewer lines with our advanced video cameras, and can offer you a DVD or online video copy of what we find. Our skilled plumbing technicians can evaluate your sewer and provide you with a written estimate which will detail the most effective solutions for your sewer repair. We also have the technology to provide trenchless sewer repair or replacement which allows us to repair your sewer without performing expensive and time consuming digs. In the event a trenchless repair won’t solve your sewer problems, the award-winning plumbing technicians at Ace Plumbing & Rooter can perform a complete sewer line replacement. A sewer line replacement typically involves the excavation of your sewer (including removal of concrete if necessary), replacing your ineffective or broken sewer line with a new, higher quality sewer pipe, backfilling with dirt and compaction and replacing the concrete as needed. At Ace Plumbing we will perform all the necessary steps in your sewer repair or replacement as well as ensure your sewer is installed correctly and functioning properly. Ace Plumbing is also proud to offer the installation of new sewer lines for new home construction or commercial building construction. If you are building a new home or structure and need a new sewer line, we have the tools and experience to install your new sewer, connect it to the city’s sewage grid as well as make sure all the plumbing in your new building is connected properly and hooked up to the main sewer system. Our friendly, knowledgeable staff is ready to help you clear your clogged sewers and complete your sewer project 24 hours a day. 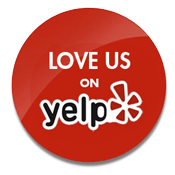 Give us a call for a free estimate in the Greater San Francisco, Daly City, San Bruno, Redwood City and Burlingame areas. Every home or business has experienced a stubborn drain that will clog continuously or drain slowly. We never consider how much we depend on functioning drains until they stop working. At Ace Plumbing & Rooter we have been solving drain problems in homes and businesses in the San Francisco Peninsula for over 10 years. We have the tools and the experience to clear your stubborn drains and provide you with long-term solutions to prevent future backups. 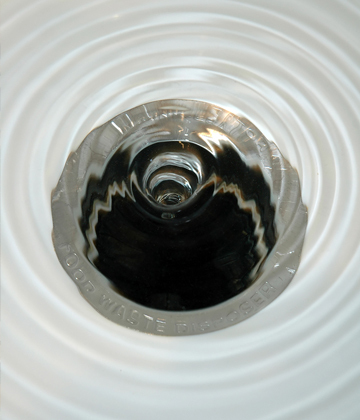 We know how disrupting a clogged drain can be in your home or to your business. Here at Ace Plumbing & Rooter we offer convenient 24 hour service to customers throughout the San Francisco area to help solve your drainage issues. Our award-winning plumbing technicians are on call and ready to clear your drains day or night. There’s no clog too big or small our plumbing technicians aren’t prepared to clear for you.